on their web site from 2008-2014. This is Duluth's remaining Indie bookstore. Jim Heffernan, author of Cooler Near the Lake, recently purchased rights for this book from the original publisher, X-Communication. 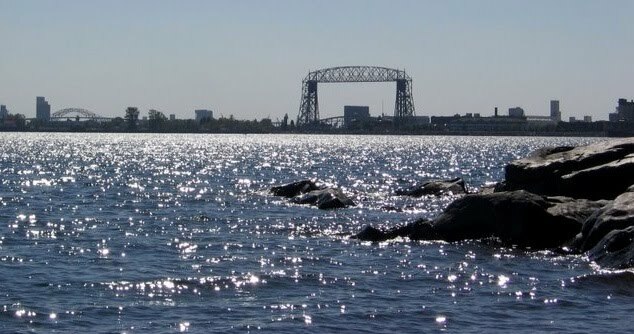 Cooler Near the Lake is a collection of Jim Heffernan's classic newspaper columns that spans his lengthy career in Duluth Minnesota as a popular newspaper writer and columnist for the (formerly) Knight Ridder Duluth News Tribune. Heffernan's writings are known for his wry humor, interesting perspectives on life and for capturing the colorful culture and history of northerneastern Minnesota. 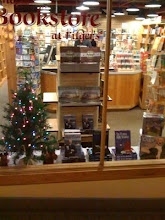 Also included in his book are unique perspectives on John F. Kennedy, Buddy Holly, Johnny Cash, Elvis Presley, Gregory Peck and other famous people who visited Duluth. While Heffernan's writings are generally in commentary form, he also includes a few of his poems, one of which is the title for the book, Cooler Near the Lake. Heffernan, now a retired newspaper writer, continues his musings on his blog, www.jimheffernan.org. 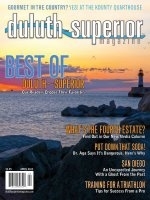 Post retirement, Heffernan wrote a monthly in-print column for the area life style magazine, Duluth~Superior Magazine, from 2008-2014 and more recently wrote regularly about his experiences living and working in Duluth for Zenith City Online. He occasionally does other freelance writing. Heffernan lives and writes in Duluth, Minnesota. 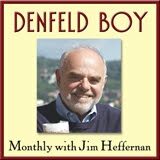 "Heffernan's sense of humor and gift with words combine to make this a great read. The book includes columns previously published in the Duluth News-Tribune over the course of this gifted writer's 34 year career. Many of them are universally laugh-out-loud hilarious, while others are touching commentary on life. There are a number of columns that provide very interesting accounts of history, including brushes with famous people and big moments in Northern Minnesota history. Although it's hard to put down once you get started, it is the kind of book you can read a chapter of when you have time, since each chapter is a separate essay. This book would make a great gift for anyone who enjoys commentary/humor type writing or for anyone with a connection to Minnesota -- especially Duluth and the North Shore. Highly recommended!" About the cover... 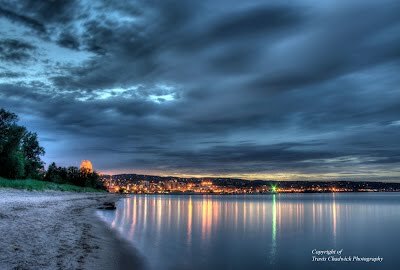 Veteran Duluth photographer, Ken Moran, suggested the book cover to fit with the book title. We traipsed to Park Point on a warm day and he positioned me standing in Lake Superior waters with my pants rolled up for his cover photo. The cover only shows me waist up (with a rolled newspaper in my arms, of course) and with the Duluth skyline in the background. But... if you turn the cover over, you'll find the verification that I am actually standing in the water, as my lower body half is pictured on the back cover to prove it. The day was warm but Ken's photo shoot was cool! About the title... It came from a poem I wrote for the DNT in June of 1979. It became a popular piece and reprints often requested. In fact I have heard from some readers that the poem was found in the effects of loved ones. I guess those of us living by our lake know how important that phrase the weather forecasters use is when they tell us that everywhere else is warm but it's "cooler near the lake." We always bring a jacket when venturing out on a summer day because it sure can be "cooler near the lake" with a quick change to a noreaster. About the book... The book provided for me a fun trek down memory lane. There is something for everyone in this collection of my past Duluth News Tribune columns, spanning 34 years of subjects. While I fancy myself as a humor columnist, I also wrote some serious heart-felt columns and hit on many "slices of life." Although I did not include all of them in the book, I did include some of my writings about famous people and Duluth, including Buddy Holly in his final trip before the plane he and other entertainers were on crashed. And… a whole lot more. Guess you'll have to check it out for yourself. I hope you'll enjoy the columns I chose. GRAB YOUR SWEATERS 'CAUSE IT'S COOLER NEAR THE LAKE!